When qualifying for the Kohler Grand Prix at Road America was over on Saturday, Scott Dixon was the fastest Honda on the grid. But that was only good for the fifth starting spot. He was slower than all four Team Penske Chevrolets. 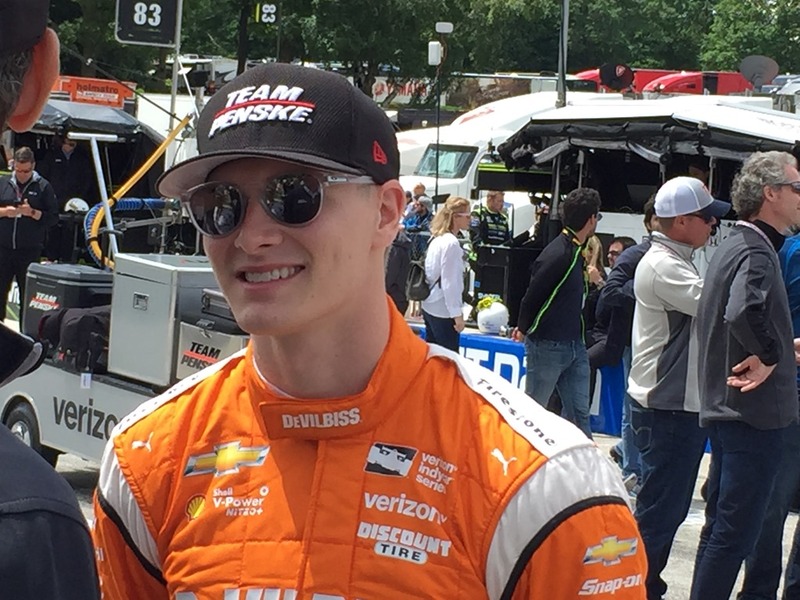 When the checkered flag flew yesterday, the four Penske Chevys had finished second through fifth – but Scott Dixon was ahead of all of them. It was an overdue victory. Dixon was already the points leader and had four podium finishes on the season heading into Sunday’s race – including three second place finishes. But neither Dixon nor Chip Ganassi Racing had a single win. As we are approaching July, for both Ganassi or Dixon to be winless at this point in the season is somewhat of a rarity. Now that Dixon has checked a win off of his list for the season, the rest of the field may want to watch out. Scott Dixon has a thirty-four point lead over second-place Simon Pagenaud. Dixon is now the eighth different winner in ten races with only seven races to go. 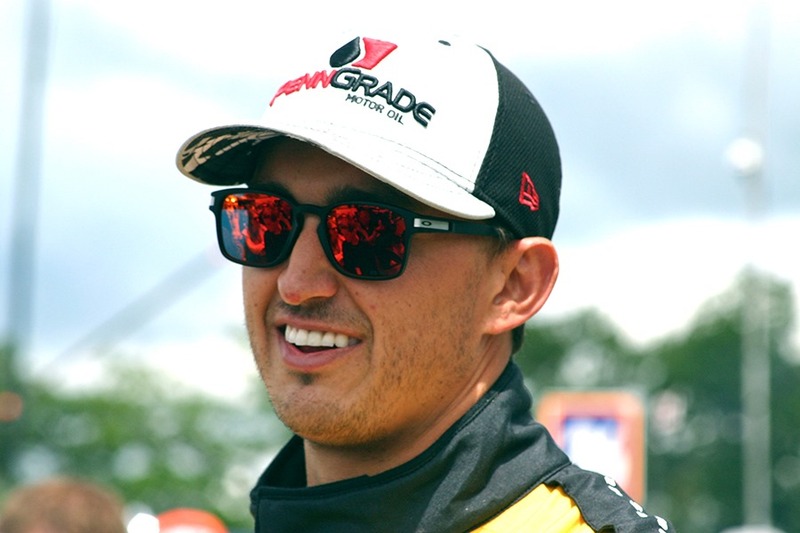 Any track on the schedule is winnable for Dixon – including Gateway, where he will be one of the few drivers in the field who has already raced on the egg-shaped oval across the Mississippi River from St. Louis. Any driver that is within one-hundred points of Dixon at this point, still has a realistic shot at the championship. 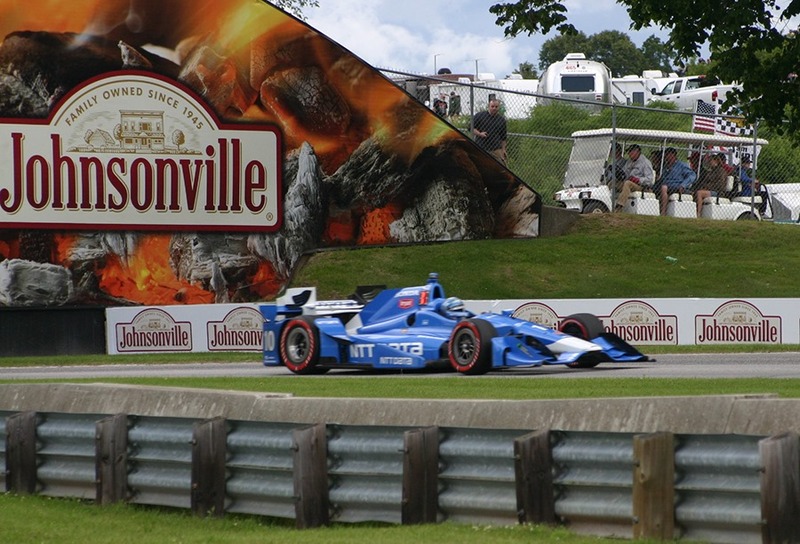 Tony Kanaan in eighth place, is the first driver to trail Dixon by more than a hundred points. Kanaan might still be in the running, but it’ll take him suddenly getting hot with the drivers ahead of him suddenly having a ton of bad luck. 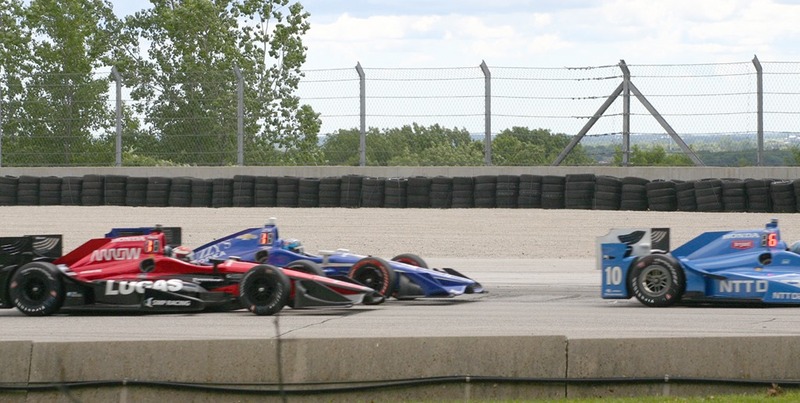 Speaking of Tony Kanaan, I mentioned Sunday that we came upon his car after he had crashed, while his car was on the wrecker-hook just past The Kink leading into Kettle Bottoms. I’ve now seen replays of the crash and it looks as if Alexander Rossi came over on him. As the NBCSN crew noted, it could have been payback for either what happened at Texas a couple of weeks ago, or when Kanaan eased over into Rossi entering Turn Five, forcing Rossi into the runoff area. Whoever was to blame, it was a hard hit directly into concrete – not a SAFER Barrier. I’ve also seen a replay of Takuma Sato’s hit in almost the same spot on the track. It was odd looking because once Sato spun and hit the wall, the car kept bucking up and down as it threw dirt all over the track. A couple of times, it looked like the car was threatening to flip over. It probably would have had the wheels gotten caught in the soft ground just right. I’ve not seen the television replay of the entire race, but I’ve read a lot of reaction and it has been varied. Some rated the racing as fantastic, while others have said it was so-so. Still others bemoaned the fact that there was too much contact. All I know is, it was spectacular to see in person. I got a video of the field on Lap Two, as they raced by going through Turns One & Two on their way down to Turn Three. I will tell you, it loses something on video. The cars seemed a lot faster while I was filming. I am looking forward to watching the DVR to judge for myself how good a race this was. But from what I could tell as we jumped around to different vantage points – it was a very good race. If I’m wrong, I’ll get back to you next week. I feel like I have been praising Road America so much for the last four days that I’m sounding like a broken record. We have been here for the last two years and we are already making plans to come back here next year. If you are a racing fan and you like unique and historic tracks, you need to come. I’ve been to many tracks over the years and there have been a few I have no real desire to return to. But I can easily say that I have three favorite tracks that I will always try and visit on an annual basis. They are, in (surprisingly) no particular order, Indianapolis Motor Speedway, Barber Motorsports Park and Road America. Two of them are an easy drive for us from Nashville. Road America is about a nine-hour drive, but to go up on Thursday and go back on Monday makes for a nice mini-vacation. Road America always looked like a big deal on television. Once we got here last year, I realized it was an even bigger deal in person. If you can, start planning now to go next year. TV Coverage: As I just mentioned, I have not seen the entire broadcast of the race – just a few snippets on You Tube. But I’m glad to hear that Kevin Lee was in the booth again. From what I hear, he’ll be in the booth for all but two of the remaining races this season. I think that NBCSN needs a dedicated and consistent voice on their IndyCar telecasts. Kevin Lee has paid his dues and would be an excellent choice. I will continue to lobby for that to happen until it does. Where was The Captain? 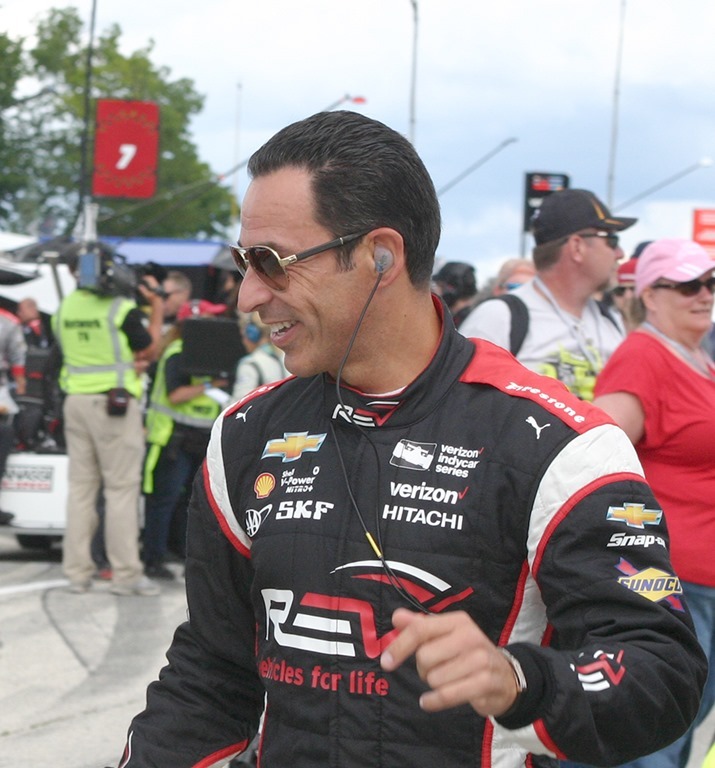 A friend of mine texted me just before the race saying he had heard that Roger Penske was not present and would not be calling the race for Helio Castroneves. I had not heard anything, but it dawned on me that I had not seen The Captain all weekend. I’m hoping he had a business or racing conflict and that his absence was not health related. Sorry for that to run through my mind, but he is now eighty years-old, which is very hard to believe. If anyone out there knows why he was not at Road America this weekend, please let everyone know in the comment section. 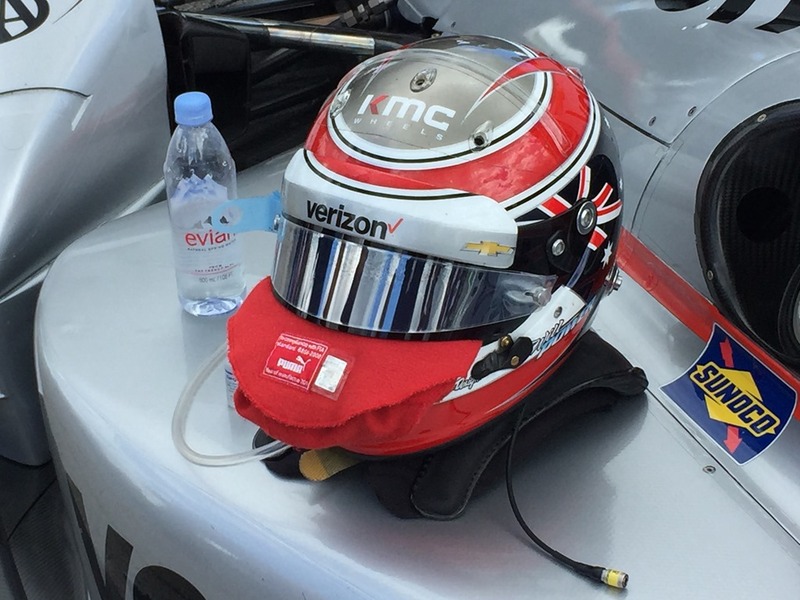 Strong Rookie Season Continues: Rookie Ed Jones continued his very impressive debut in the Verizon IndyCar Series. He had an issue with a lose car in qualifying and qualified eleventh. But the rookie kept his nose clean again and finished seventh. He is now tenth in points and is only nineteen points away from eighth place Tony Kanaan. 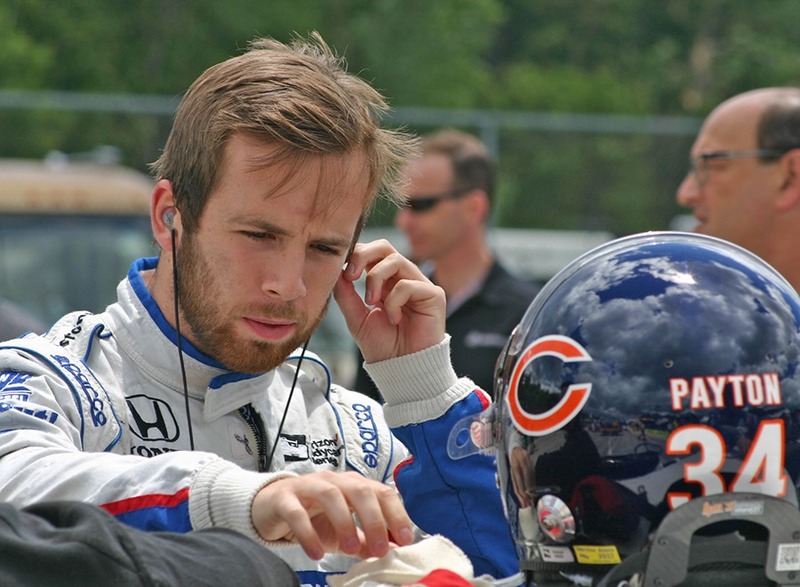 Jones continues to impress with his revamped Dale Coyne Racing team. If he keeps this up, his services may be in demand by several teams next season. 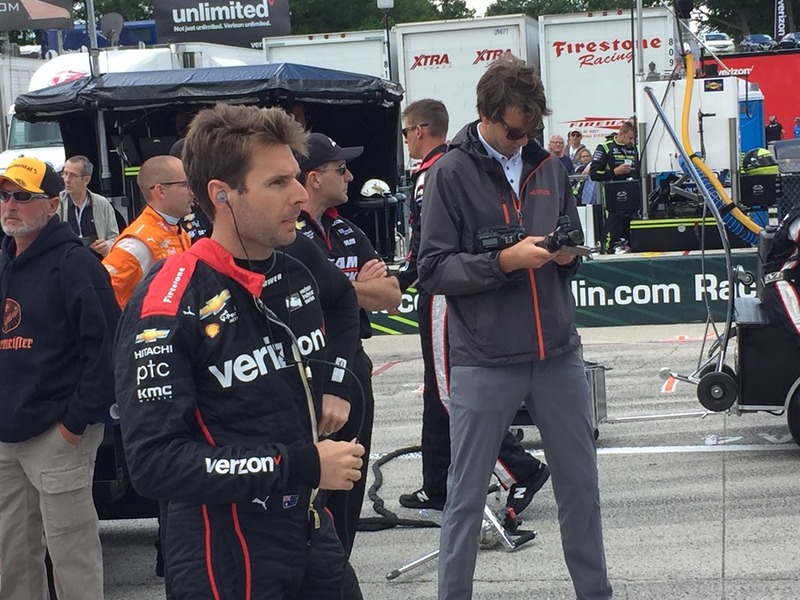 Bad Week for Andretti: Road America was a weekend to forget for Andretti Autosport. 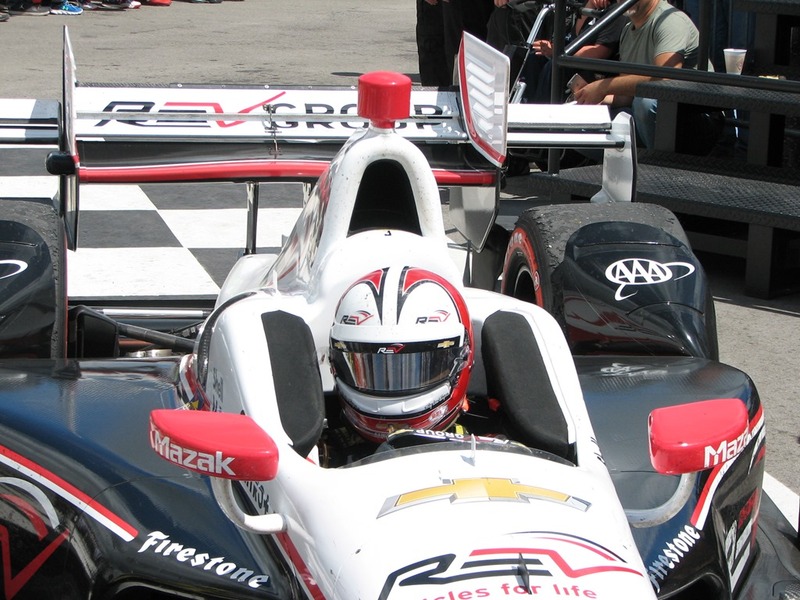 Marco Andretti was the only one of the four Andretti cars that qualified in the Top-Ten (eighth). He did not hold that position in the race. 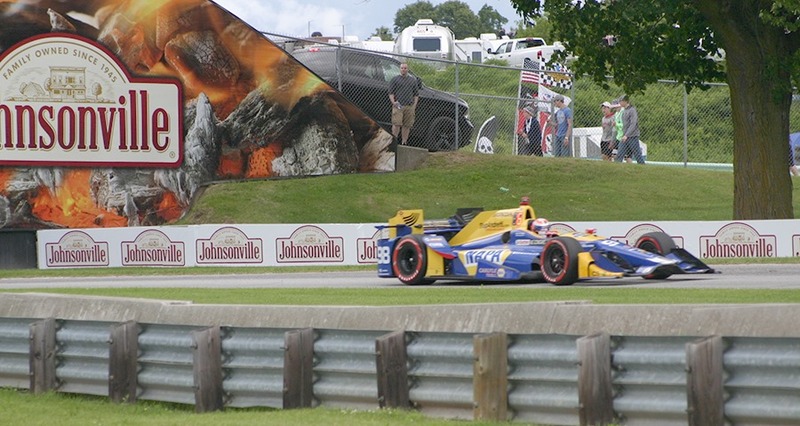 The best performance of any of the Andretti cars was turned in by Alexander Rossi, who qualified fifteenth and finished thirteenth. Ryan Hunter-Reay qualified twelfth and finished fourteenth. After starting eighth on the grid, Marco Andretti fell to eighteenth when the checkered flag flew. Indianapolis 500 winner Takuma Sato started twentieth and finished nineteenth. Ouch! That’s quite a weekend for a team that features a former series championship and three Indianapolis 500 wins. Good Finish for Aleshin: After being stranded overseas Friday with visa problems, Mikhail Aleshin was back in the car Saturday. His practice and qualifying Saturday were abysmal and I really didn’t expect much out of the Russian driver from Moscow. Once when we were n Turn Five, we saw him try an impossible pass and he ended up in the gravel trap. But he kept the car going and re-entered the track headed up the hill. But he kept fighting and brought the car home in tenth, after starting nineteenth. 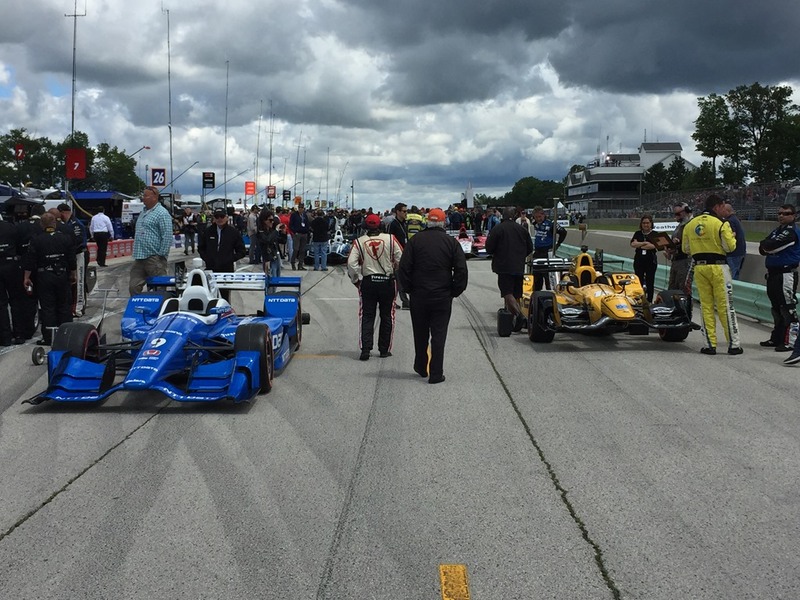 All in All: The Kohler Grand Prix at Road America was quite the spectacle to attend. 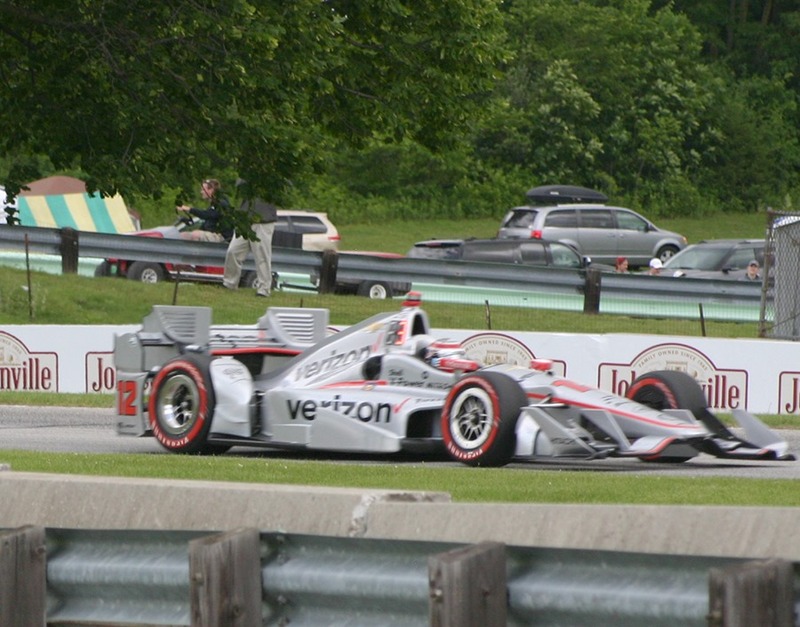 This didn’t appear to be the cleanest race, but it came across much beter than last ear’s romp by Will Power. Scott Dixon earned that win and he sent a message as he strengthened his hold on his championship lead. But the points race is still very tight among the first seven drivers and it should prove to be very interesting over the final seven races. I’ll close with a few more random photos from the weekend – and of course, the poll question. Thanks again to everyone who followed us throughout the weekend. This entry was posted on June 26, 2017 at 4:01 am and is filed under IndyCar. You can follow any responses to this entry through the RSS 2.0 feed. You can leave a response, or trackback from your own site. This was the best race of the year. Much needed after the Texas debacle. Thanks for the great coverage all weekend, George, great to get to see you this weekend. First it was green, green green and then the announcers imediately went to saving fuel, saving fuel, saving fuel for the whole race…. if it was a race, since everybody was ‘saving fuel’. I hope the 2018 cars have massive fuel tanks to end this crap. Well, the 4-stoppers were aiming to go full-throttle to the end, but it looks like most of them pitted during the Sato caution at 29 and were back on the main strategy – Rahal pitted 7/19/29/42. Thanks for the narrative and photos from trackside Geoge and Susan. I will make every effort to meet you there next year and to treat you to a fish fry at Schmitty’s Oar House. I thought the turn one pass that Dixon put on Newgarden for the lead was sheer artistry. He could well have thought after pulling that off “All right you bastards, top that one. 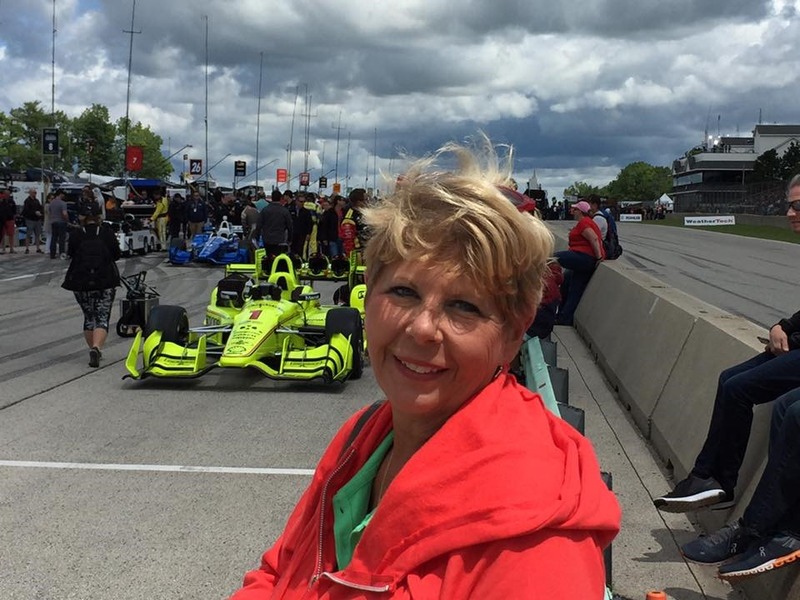 !” Dale Coyne seems to delight in being the underdog, but putting the loge of some Chicago football team on his driver’s helmet while racing just a few miles from La La Lambeau field could only bring bad kharma. While I am no fan of da Bears, I and all Packer fans up nort here would acknowledge that Walter Payton was one of the best there ever was. I was surprised Rossi wasn’t penalized for the Kanaan incident. It was not the most egregious chop of the day (and Kanaan was making his move pretty late on that part of the track), but with a blocking epidemic breaking out I thought race control would have been wise to try and crack down on even borderline incidents. The blocking by many exiting the pits appeared to go without penalty too, I kept expecting to see contact there. That said, all of the blocking going on meant that there was a remarkable amount of close racing going on over a 4+ mile track, much more than I would have bet on. The racing was fantastic when it was clean. Dixon doesn’t have the championship in the bag, but with Mid-Ohio and Watkins Glen still to come, he must be the favorite by a wide margin. I thought that this race was pretty egregious for the amount of “dirty” racing going on by a lot of drivers. And not just “The Usual Suspects”. Race Control seemed to be doing a pretty good job of controlling it without going overboard, pretty much by forcing the blocker to give the blockee the pass. I don’t think I saw anyone get a drive through penalty, although there were a couple of drivers who richly deserved it. Regarding the Rossi/TK incident: Rossi deserved a penalty during the race or a fine afterwards. He clearly moved into TK twice, with the 2nd time forcing him into the wall. Even Paul Tracy and Townsend Bell agreed it should have been a penalty, and it’s rare the two of them agree on that. I fully believe that Rossi thought he was giving a little payback for what he thought was intentional incidents on TK’s part at TX, but that’s not the way to do it. While I love the RA track and have been going there for many years, I think the pit exit to the track just before turn one could be improved. The situation now leads to some blocking. I couldn’t believe that racers were driving over the pit-lane exit-lane line or blend line. I waited to hear of penalties. There should have been penalties IMO, but better yet, the track owner should make a better pit exit situation. Tickets for the 4 days on sale for 100.00 until September. 4 day attendance down 30% this year. SO get your now for next year. 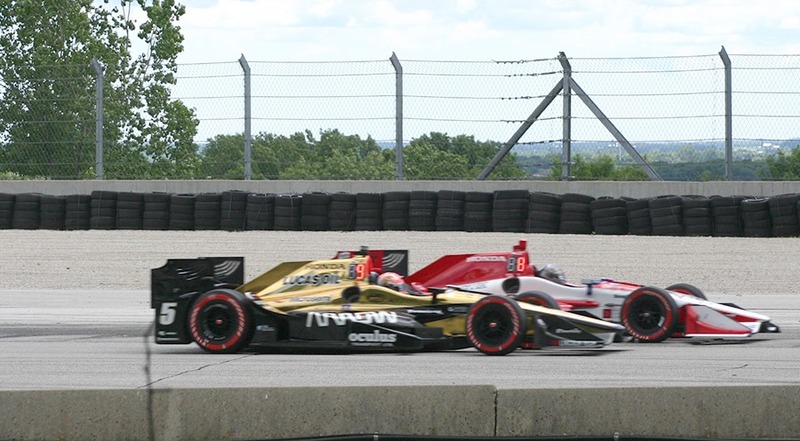 For what it’s worth Dixon would have never passed Newgarden but for Newgarden being on cold tires. He had a rocket and was pulling away from the field prior to the pit stop. Asked on a twitter why RP wasn’t there- got a reply he at America’s cup boating race. I agree I was concerned for his health as well. Hats off to Dixon who was able to finally put it all together. I don’t know what is happening to the Andretti team, but I hope they can get a handle on it. Ed Jones looked great wearing the Bears Helmet and tribute to Payton. Well done!!!!! Where are you, hoo hoo, hoo hoo? I have been wondering if Ms Ballyhoo enjoyed the race and her visit to Road America. Well, I hate to be the last one bringing up the tail again, but I was on the road all day yesterday and then flew home. Just now finally having a chance to read all the racing coverage about RA, but I haven’t even watched the race yet. I was only able to spend Sunday at Road America, but I am coming back for sure. I wasn’t able to see every part of the track, as the race went by so fast. But being on foot instead of in a cart made a big difference in what I was able to experience. I’m also glad I stayed for the sports car race, as it provided a contrast in how the cars maneuvered through the turns. I truly wasn’t ready to leave the track when all the activities stopped. I am sorry I didn’t see George or Susan this time. To be honest, once the race started I didn’t even remember to look out for you two in a golf cart. I was too busy trying to see everything I could see from different vantage points. I appreciate your advice Ron on what to see and where to eat. The blueberry pie at the parish concession stand was probably the best I’ve ever had in my life. And I don’t even like blueberries that much! I hope to return to Elkhart Lake in the next couple of years, but next year’s away race for me is going to be my first Indy 500.